Dr. Leena Kamat took over San Ramon Valley Family Medicine in May of 2017. We are a small family practice based in San Ramon, CA, and offer primary care with a family focus. We welcome patients of all ages. San Ramon Valley Family Medicine offers primary care to patients of all ages from all over California’s East Bay Area, with Dr. Leena Kamat emphasizing the word “family” in a multigenerational approach. Dr. Kamat, who took over an existing practice in May 2017 after being part of its medical staff, is a family practitioner in its broadest sense, caring for infants, children, teens and the spectrum of adults from young singles and parents through seniors. Primary care is about preventative medicine and a family physician who is there for you, through scheduled appointments and checkups, and able to refer you to a specialist if that need should arise. Too often the first doctor an adult patient goes to see is an internist or specialist when self-evident symptoms start to appear. The family physician comes from the tradition of the General Practitioner (GP) who has the training and experience to care for and monitor a child through her or his various growth stages as well as recognizing what is natural or extraordinary in the adult aging process. Your family doctor is like having a health consultant virtually on call to monitor, treat and prescribe. Dr. Kamat is providing primary care with a family focus, and that offers the convenience of scheduling appointments and checkups with one group visit at the office or through a secure patient portal. In other words, there is the option of booking the entire family’s appointments in one group, saving travel time, simplifying their lives and providing the peace of mind of knowing that they have an optimal health guardian for the entire family. Because of the continuing aspect of this healthcare approach, there will be a recurring scheduling of appointments for things like physicals, flu shots and some valuable face time with Dr. Kamat to air questions and concerns. Aside from basic preventative care, you can count on Dr. Kamat to provide you or your family with short-term treatment (acute care) and chronic care management, as well as reproductive health (well woman care). If you as a patient are in need of blood draw services or testing for other purposes, we are here for you. Dr. Kamat’s healthcare philosophy is known as Evidence Based Medicine (EBM). She knows that the time of her patients and their families is valuable as they go about the demands of their busy lives, but she believes in being thorough, making it a point to spend time with her patients. Some of the adjectives used to describe her are empathetic, caring, kind and composed. Dr. Leena Kamat is writing a new chapter for a family medicine practice that is approaching 25 years of service to local patients. She pledges to follow the storied tradition of the American family physician, including the care of infants and children, adolescent medicine, geriatric care and inpatient care. She will continue to emphasize family in her practice as exemplified in the name of the business. San Ramon Valley Family Medicine is located right on the campus of San Ramon Medical Regional Center, which guarantees easy access to testing, radiology and other medical specialties. We are affiliated with the John Muir Medical Center in Walnut Creek, CA, San Ramon Regional Medical Center and Stanford ValleyCare in Pleasanton, CA. The name of the business and the physician/owner at its helm do not take two words lightly— family medicine. San Ramon Valley Family Medicine and the family physician, Dr. Leena Kamat, are providing primary care to all ages. The philosophy might be the family that stays healthy together stays together for a long time. Members of a family are usually related to other “by descent or marriage,” according to the dictionary, but there is also the human family. In both cases, they range from infancy to old age. Times have changed from the old town doctor who made house calls, ministering to three generations under one roof. Family medicine, however, remains as vibrant as ever and is still the front line of primary care and often the first to treat victims of accident or illness. 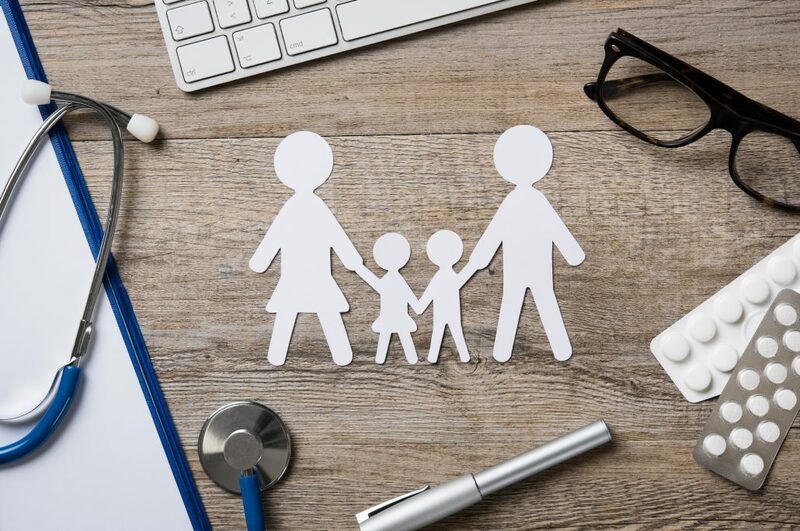 “The scope of family medicine encompasses all ages, both sexes, each organ system and every disease entity,” reports the American Board of Family Medicine. It is indeed the first line of defense for those who take advantage of it. You may send your children to a pediatrician and you, the parent, make your appointments with an internist. Or everyone can make an appointment with his or her own specialist. There is a specialist for everything, so why bother with a family physician? The main reason is that it is continuing and comprehensive for each individual and member of the family. This is primary and preventive, which often means early detection and saving or prolonging lives. Primary care is that which a patient receives upon first contact with a physician when it is not an emergency. It doesn’t have to be a family practitioner. It can be an internist, pediatrician or even a gynecologist, but a family physician who regularly schedules appointments would certainly be right there on the front line. There tends to be confusion about the difference between an internist and a family practitioner. Only adults go to internists. Only kids, on the other hand, got to pediatricians. Both adults and kids go to practitioners licensed in family medicine and the training and education required makes them more versatile. Then there are “additional requirements in obstetrics, including delivering babies or assisting in deliveries known as “newborn encounters,” and surgery, gynecology, geriatric care and even training in behavioral health issues. Wellness education and disease prevention are also crowded into those three years of so-called basic training. When it comes down to it, becoming a board-certified family practitioner is not for the faint at heart. It could certainly be described as survival of the fittest in the medical field, in terms of the breadth of knowledge and skills required, and that gives us all a better chance of surviving.